With warmer weather approaching, there isn’t anything more refreshing than ice cold lemonade – in fact, lemons in just about anything seem to become a summertime favorite. Although sour, lemons can be used in a variety of ways, from sprucing up water to complementing our favorite entree dishes. 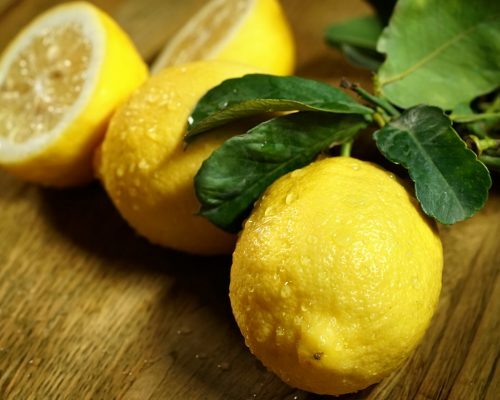 Lemons, along with other citrus fruits, are hailed for their health benefits, and the latest findings suggest that lemons can help ward off fatty liver, a growing problem that’s even outranking the alcohol-induced liver issues. The Japanese study found that lemons contain ingredients that can actually help prevent fatty liver. Fatty liver is a reversible condition in which fat permeates the liver cells. Over time, as the condition worsens, fatty liver can lead to cirrhosis and liver cancer. But the good news is, something as simple as a lemon can help prevent all these problems. In Italy and Greece, rates of metabolic syndrome and cardiovascular disease are low. It was often believed that olive oil is the magical solution for this. Instead, Japanese researchers found that the consumption of lemons within these regions is quite high, and that is what is offering these protective qualities. The researchers conducted their study on zebrafish, which have similar obesity mechanisms to humans. At first, the researchers made the zebrafish fat, and then gave the fish a compound found in lemons. The researchers noted that the liver fat and blood lipids in the fish reduced by at least two-thirds. The researchers furthered the study by adding this compound to liver cells obtained from humans, and the fat in the liver cells curbed. The researchers noted that the mitochondria become activated by the compound in lemons that speeds up cell metabolism, which in turn reduces fat. If you want to promote liver health, start adding more lemons into your diet, either in your water, or as a snack on its own, or even homemade lemonade – just be mindful of your sweetening agent, as sugar can harm the liver.